This Furnished apartment is situated opp the 5 star hotel Park Plaza, on the 17th /18th Floor in the Golden Isle apartments over looking the golf course admist the green cover and serene surroundings of Aarey milk colony. Total apartment area 550 sqft. 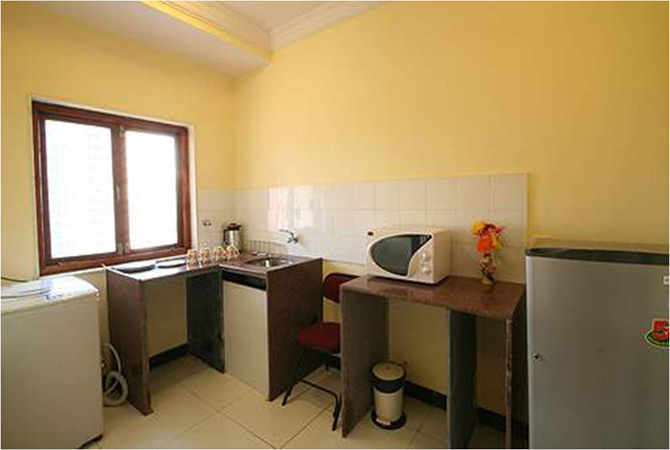 The studio apartment fully furnished with attached partial / fully equipped kitchen. Attached bath with running hot & cold water. Television in the room with Tata Sky. Breakfast, lunch and dinner can be ordered from the menu cards kept in the room. House keeping is provided Everyday. Distance from Domestic Airport : Approx. 20-30 minutes (depending on the traffic) drive from the Domestic and International Airport. Utility Shop : For daily utilities like soap, shampoo, bread , butter, milk, mineral water etc, this shop is on the ground floor. Shopping : For shopping, vist the 'The Hub' at Goregaon (E) or visit 'Inorbit' mall and 'Hypercity' at Malad (w). Inorbit mall and Hyper city can be reached in 15 to 20 minutes by Auto/ Taxi. Entertainment : Cinema halls in the mall 'The HUB' and in 'INORBIT ' mall are 15 minutes drive from the appartment. Dining Out : Coffee shop, Thai restaurant and the 19th Hole bar are at 'The Park Plaza'. And local dhaba style restaurant is 'Aarey Garden Restaurant' is 5 minutes drive. Restaurant Tunga Paradise is 20 mins drive. 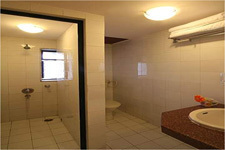 Hygenic and highly well maintained apartment. We are very much impressed with the cleanliness in the service apartment. Besides this, it gives a feeling of being at home. Stafff is very courteous and takes care of all the requirements efficiently. Overall a very nice experience to stay here." 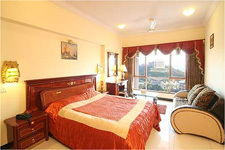 Mr. Siddhartha Singh from Delhi stayed at Lokhandwala apartment. Really nice experience to live here like a descent & comfortable stay from. Service provided to really appreciable & fulfill the treatments like home. It is very good overall." 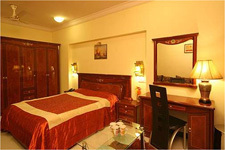 Ms.Shefali Bose Mumbai stayed at Lokhandwala Apartment. We found the accommodation top quality, and enjoyed our 5 days at the apartment. 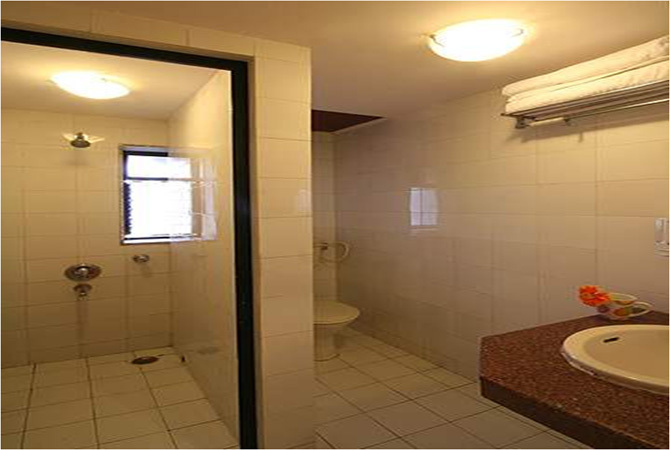 It is situated right across the domestic airport hence most convienent place to commute." Mr. Shivam from Banglore stayed at Vile Parle Apartment. This is an excellant flat well looked after, clean and well designed. my wife and I would like to stay in this flat any time we visit." 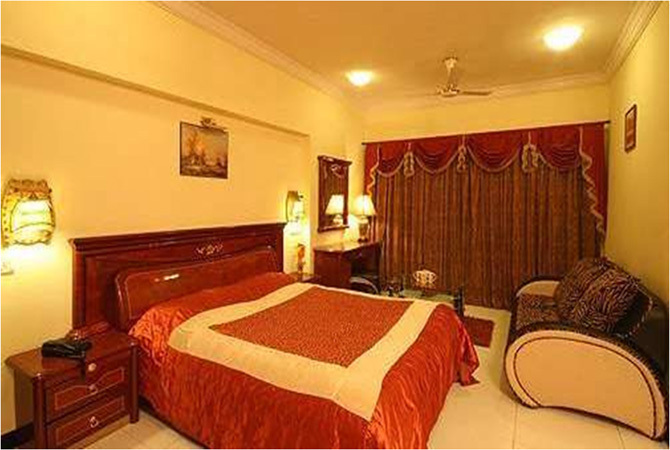 Mr. Ashutosh Kaul from Hyderabad stayed at Vile Parle Apartment. A wee note to thank you and your staff,loved the flat". Comfortstay has really made our stay comfortable. The only problem we faced that the bath room was small. Rest our stay was good." The apartment is very nice but the outside look of the building is not of that category".